People with a sweet tooth can rejoice as the 17th Seoul Dessert Fair returns this weekend. This year’s fair will run from Saturday to Sunday at the Setec Exhibition Hall in Gangnam-gu, Seoul. The closest subway stop is Hangnyeoul Station on Line No. 3. 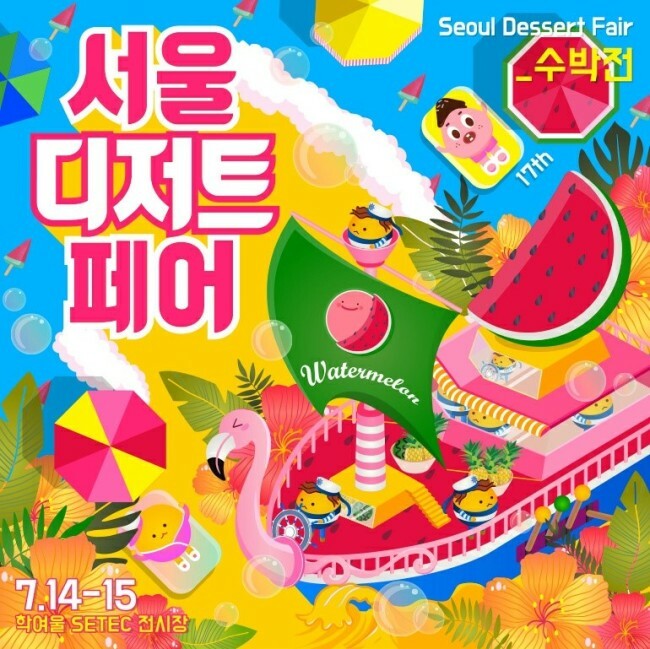 With watermelon as the main theme of the event, the organizers will set up a zone dedicated to a variety of watermelon-inspired desserts and fusion snacks. In addition, there will be homemade pastries, goods such as handcrafted jewelry and paintings, and a cake contest. While satisfying their appetite, dog and cat owners can also check out healthy food products, clothing and props for their furry friends. The fair will operate from noon to 6 p.m. The days will be split into two sessions with each lasting 2 1/2 hours. A single ticket will only permit entry for one session. All-day tickets are available for those who wish to indulge for the full duration. More information can be found on the Visit Seoul website and the fair’s Facebook page.